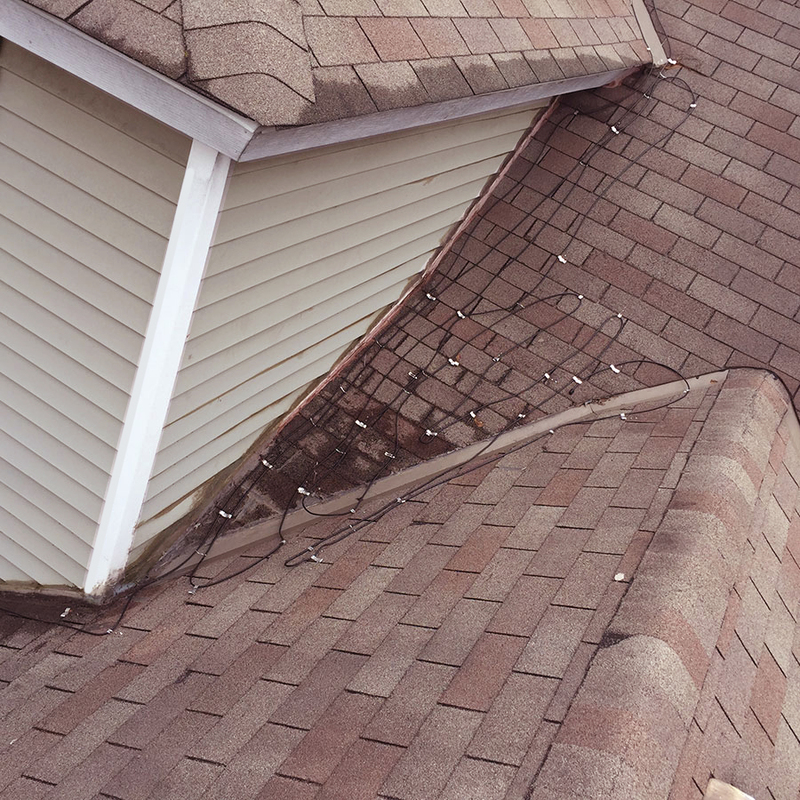 Roof valleys don’t always get analyzed enough in home construction. 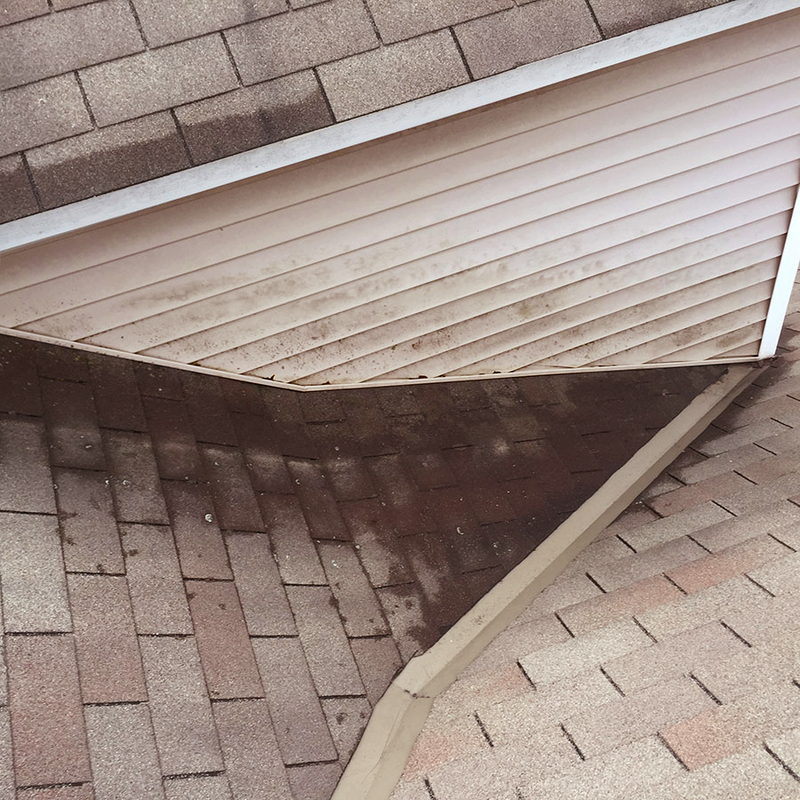 A poorly placed roof valley can act as a catch-all for Fall leaves and debris, a water draining hinderance or a great place for an ice damn buildup. 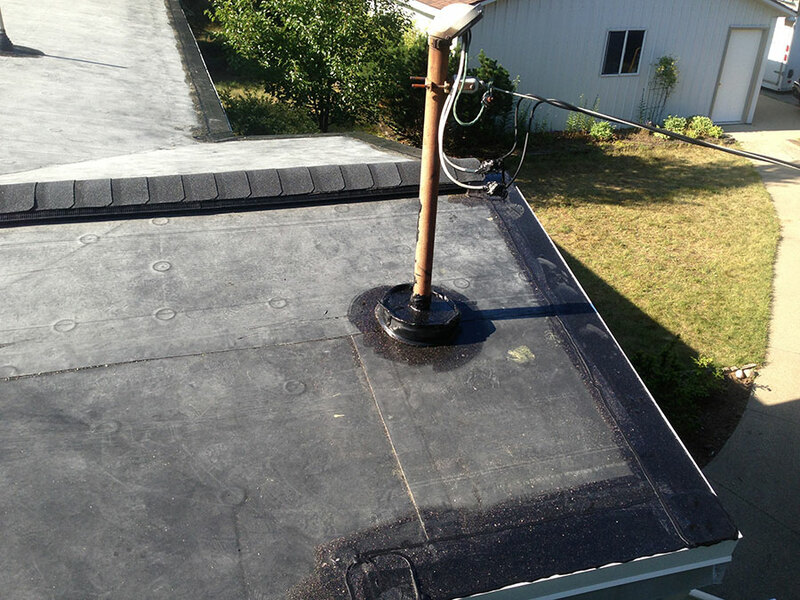 Many roofers simply ignore and roof over these obvious problems. 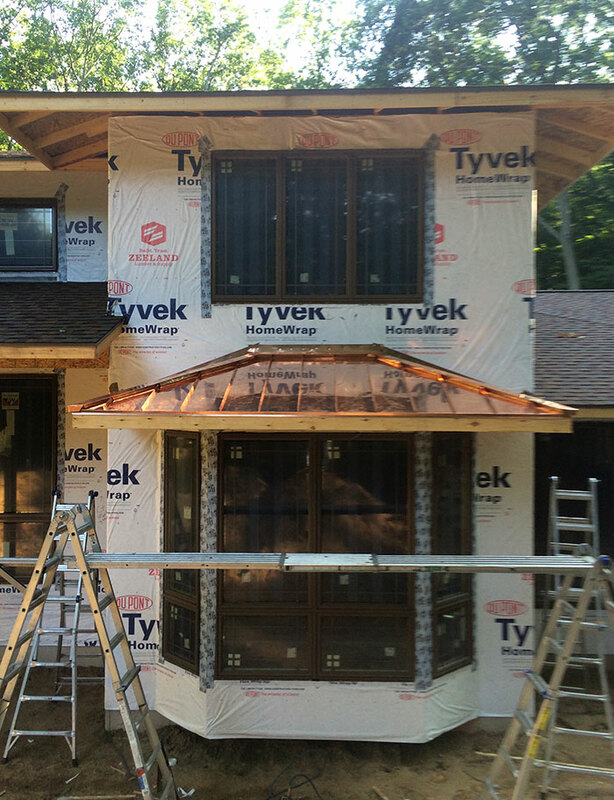 At KMR we point out the problem and provide solutions in the form of “build-outs”. 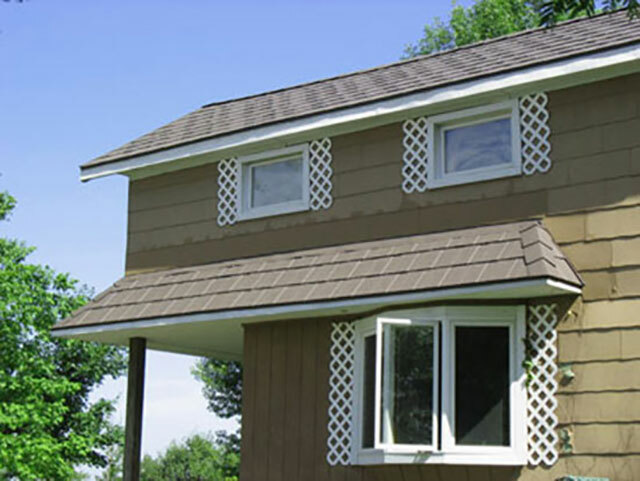 Scroll through the following gallery to see one of our solutions. 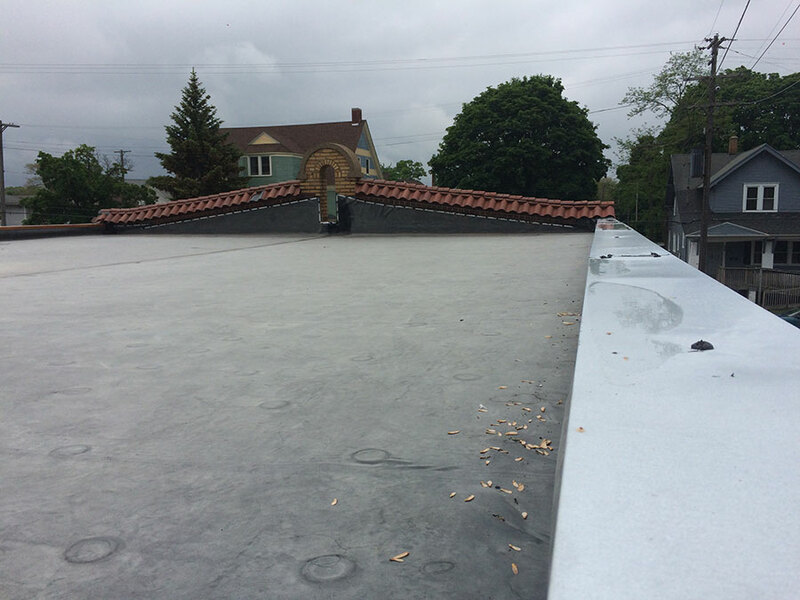 Yes, KMR does flat roofs too! 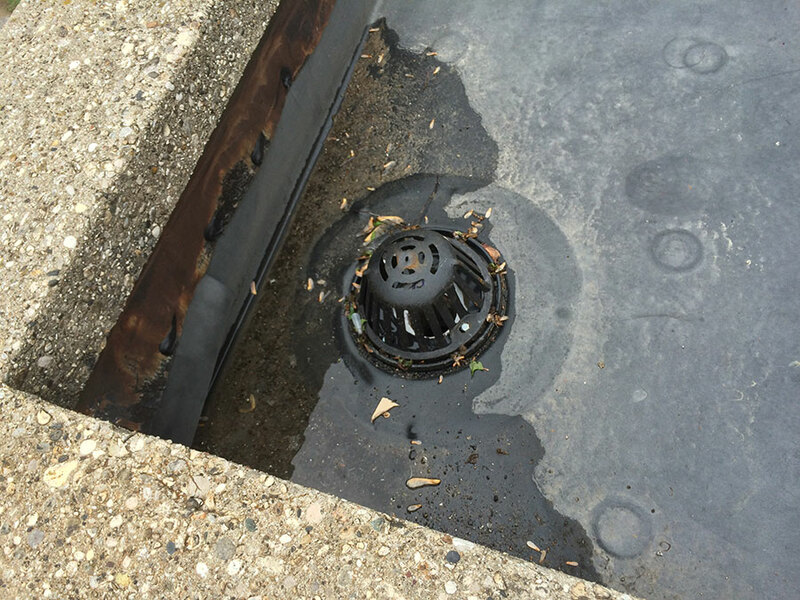 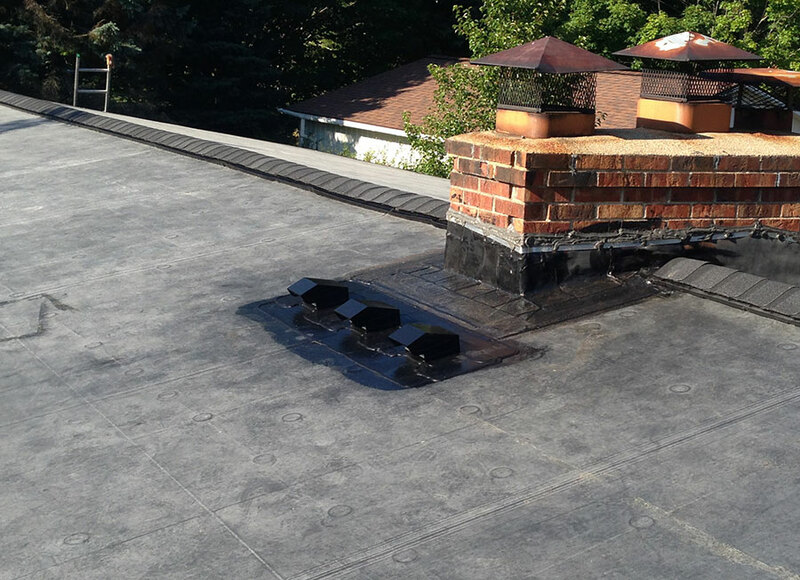 We have considerable experience in low-slope EPDM rubber roofing installation as well as rebuilding and repair of venting and rubber boots around venting. 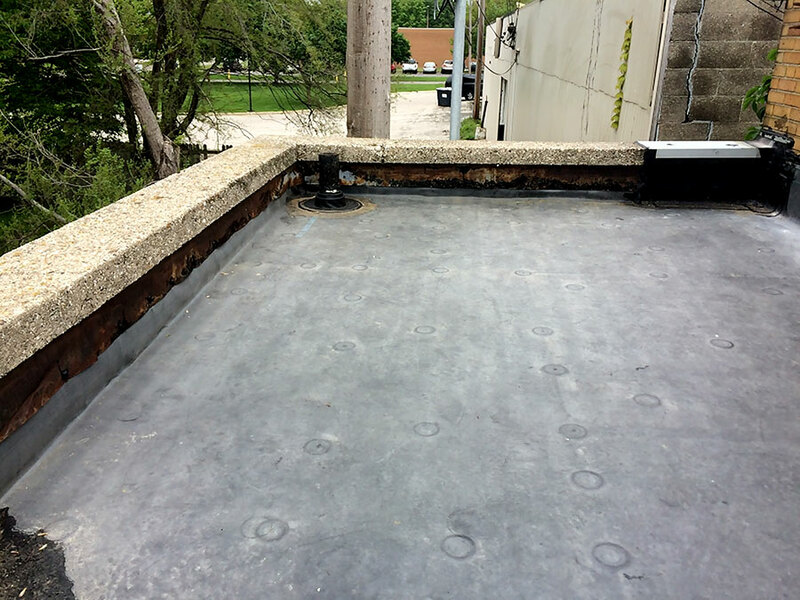 Do you have a commercial structure that you’re not sure of the condition of your flat roof? 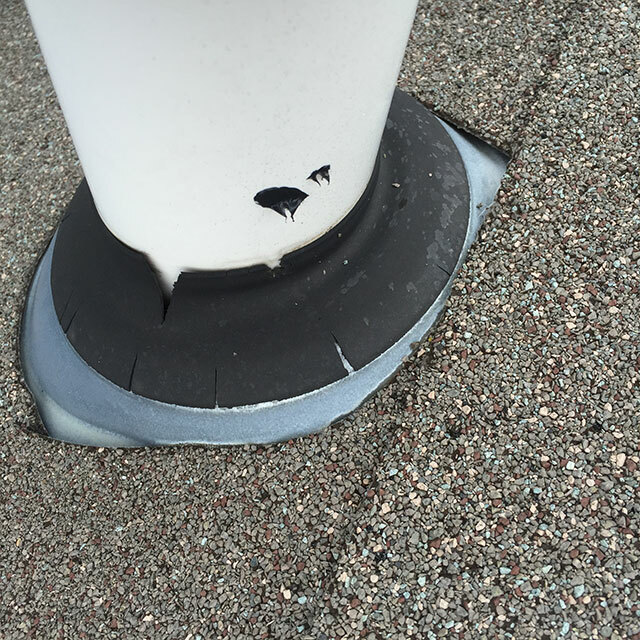 Even if you just have vent and boot repair call KMR for an estimate, whether it’s a patch or a “total re-rubber”! 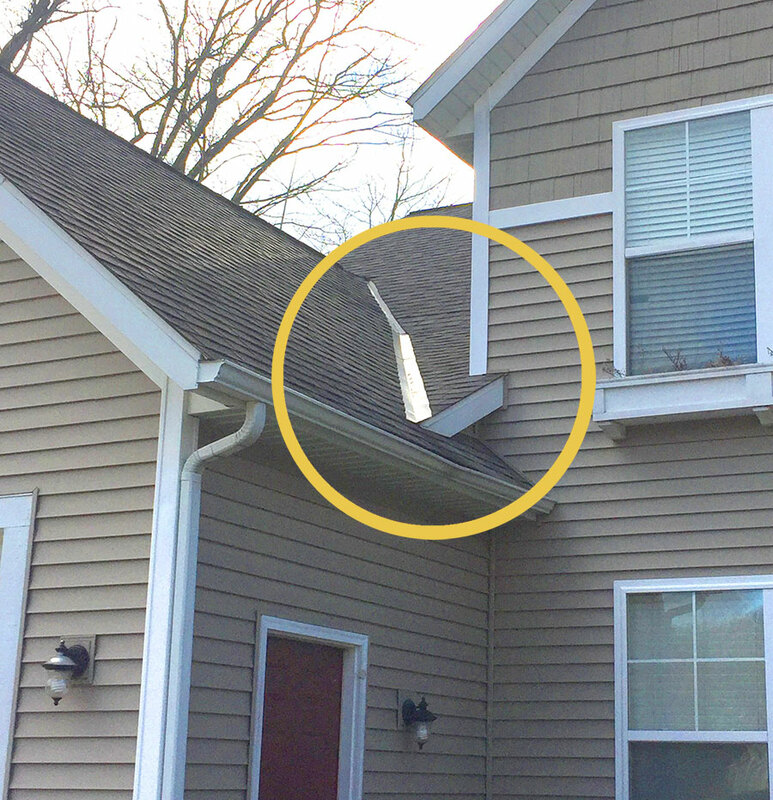 Feel free to scroll through the following gallery to see if you have a similar situation. 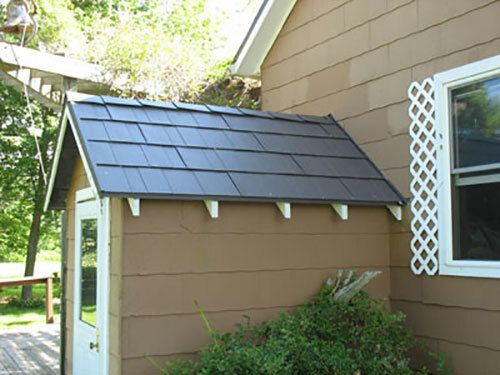 As previously noted metal roofing can come at a premium cost but can pay for itself in the long term since it lasts so long! 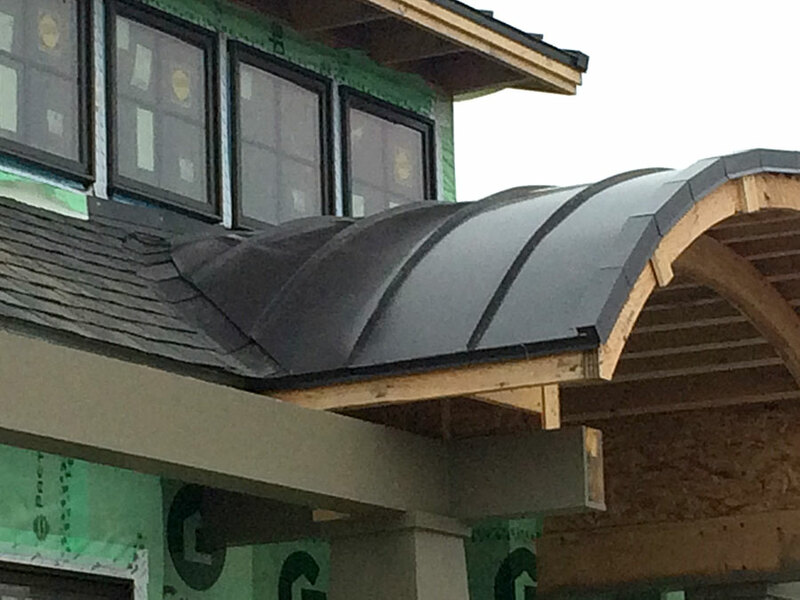 Quite often a metal or a copper roof is only a partial roof and act more as a great visual accent to your home’s appearance. 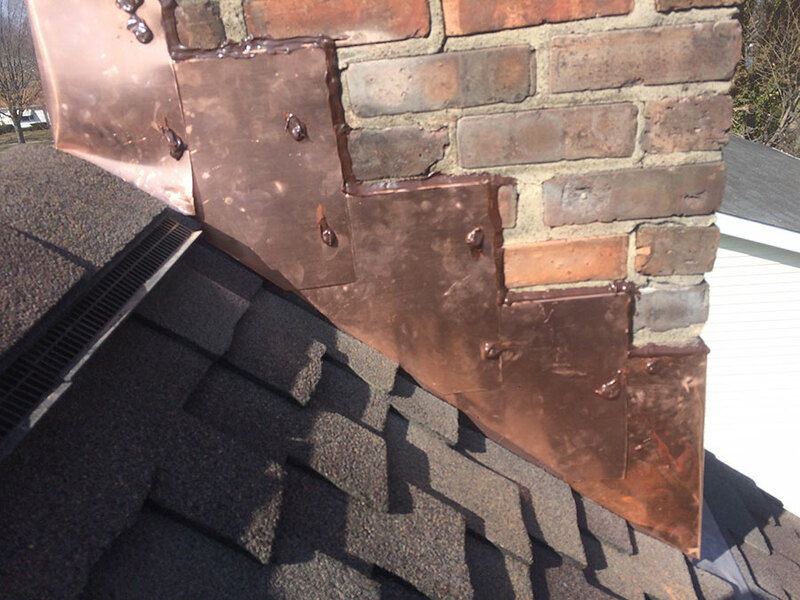 Copper is also a great choice for flashing where roofs meet chimneys and other vertical surfaces. 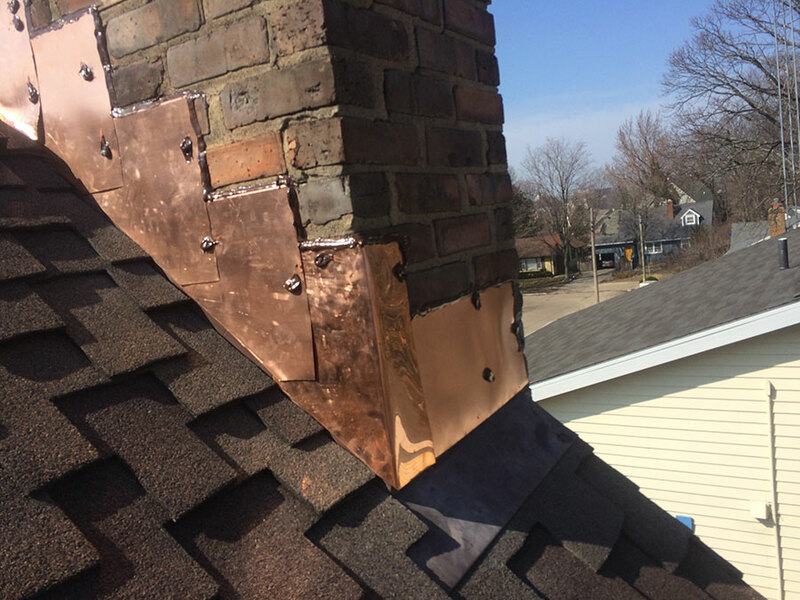 To get an idea of what metal roof or copper can do for your home scroll through the following gallery and then call KMR at 616.566.2141!